Hartville is a small town in Stark County with a big personality. With more than 800 families, it has a culture all its own. And whether you’re growing your business or your family here, ProTech Security can provide you with the residential and commercial security systems necessary for Hartville to keep your home or business secure. We understand that every case is different, so we don’t just sell you a system and walk away. We give you our advice as your neighbor and create custom solutions that protect your most important assets. Investing in a system from ProTech Security ensures that you’re receiving coverage you can trust. We only use products with the most up to date technology, so you can live worry free. 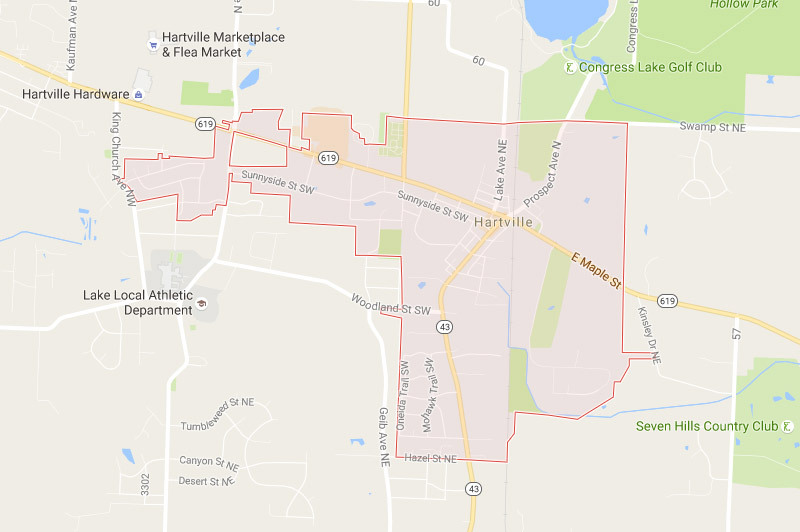 Interested in learning more about your security options in Hartville, Ohio? We offer residential security systems for Hartville that protect your loved ones and belongings. We know your home and family are some of the most important things in your life. That’s why we provide high quality security solutions so you can trust you’re getting the best products possible. We offer commercial security systems that protect the businesses, schools, and government institutions throughout Hartville. Keep your business safe and protected with our wide range of security solutions built to fit any building. We can help you improve your current system or design a brand new system so your business feels more secure. We also offer custom security systems for Hartville’s educational institutions and government facilities. Your employees will feel more secure knowing that you’ve installed a top notch security system in the building. From controlled access to gunshot detection, we offer the best solutions to create a secure environment. The ProTech Security Advantage is more than 35 years of service and a strong commitment to providing quality, cost-effective protection for homes, businesses, educational institutions, and government facilities. That includes a forward-looking philosophy that centers on the latest in IP (Internet Protocol) technology and IT (Information Technology), which is built with dynamic, non-proprietary systems. We’re proud to call Northeast Ohio home. For more information about how we serve our neighbors in Hartville, contact us today.